This post, co-authored by Dori Baker, originally appeared on Faith & Leadership. Multicolored Post-it notes dot the walls of the seminary classroom. Here, in a pop-up design thinking lab, people are buzzing around excitedly. The volume increases as 10 young adults share stories they’ve heard from interviewing peers in living rooms, coffee shops and parks across Chicago. The stories run counter to the current narrative about the church: unlike most people in their 20s and 30s, these folks are finding meaning at church. And it’s not just the content of these research interviews that is refreshing — the participants report that the interview process itself was one of self-discovery and shared humanity. Out of this matrix, creative alternatives can arise. These interviewers took part in a bold new initiative to help churches launch ministries to attract young adults. As part of it, they were trained to be “holy listeners” and then dispatched to unearth the spiritual yearnings of their fellow young adults. 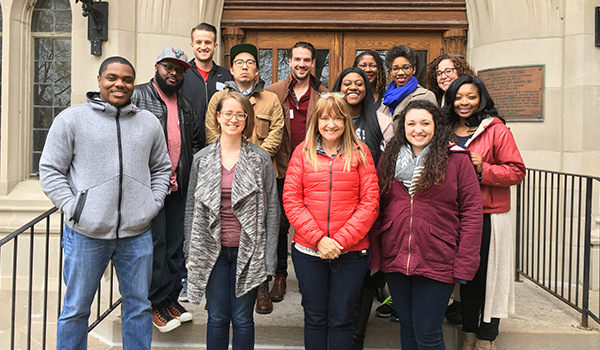 Garrett-Evangelical Theological Seminary is a hub of this initiative, which is called Holy Yearnings, Holy Listening, Holy Partnerships, and is supported by the Lilly Endowment’s Young Adult Initiative. Holy Yearnings seeks to address one of the biggest challenges churches face today: reaching millennials in meaningful ways. This multiphase project aims to help congregations create innovative ministries to support young adults’ flourishing. As social scientists grounded in faith traditions, we understand that ethnographic interviews can create spaces of shared listening that take on sacred texture. Ethnography unearths stories. Stories develop empathy. Empathy is the first stage in design thinking process. Our hunch was that design thinking might free congregations to experiment in bold ways that are both true to the gospel and grounded in young people’s lived reality. We began with the recognition that young adults are experts on their own lives. In order to test our hunch, the interviewers engaged in the practice of holy listening, which invites us to slow down and create space to share and hear the truths of our lives. Equipped with the skills of ethnography, design thinking and community organizing, the interviewers gathered data on what their peers care about deeply, what young adults think is working in faith communities, and what they desire from a relationship with church. The team was a racially diverse group of men and women between the ages of 23 and 38 who were identified as leaders within their congregations across the Chicago region. They exemplified the “gig economy,” taking part in paid and unpaid work — pastor, school counselor, engineer, cheerleading coach, podcast host, community organizer, youth minister, marketing manager and children’s bookstore storyteller. After the interviews, we brought these “holy listeners” together to make meaning of what they had heard. They sifted through their transcripts and shared keywords, phrases and ideas. As we harvested the data, they shared the stories of the young adults they had spoken with. “The guy I interviewed freaked out — happily — when the job description for worship leader actually read ‘LGBTQ sensitivity and anti-racist training required,’” said another interviewer. As they curated these voices, the interviewers constructed a counternarrative to the oft-told one about young adults and organized religion. While large-scale, nationwide research confirms that most young adults are disaffiliating, these young adult researchers are uncovering an important — if less conspicuous — reality. The young adults they interviewed expressed a longing for meaningful, face-to-face interactions and community — something they were surprised to find that faith communities could be uniquely positioned to provide. And the interviews themselves helped forge those connections as well. Holy listening emerged as a powerful tool for engaging deeply with young adults. Both the interviewers and the young adults with whom they spoke reported that such one-on-one encounters are rare in their day-to-day lives. The act of slowing down and giving focused attention brought moments of shared connection, laughter, joy and delight. The young adult researchers came away with renewed appreciation for story-based ministry and the value it adds to congregational life by increasing potential for shared action. “We discover in holy listening what we want to do together — what our deeply held commitments are,” one interviewer remarked. The next phase of this initiative is supporting churches to do just that. Each of the congregations are now prototyping new ministries — “holy partnerships” — aimed at young adult flourishing. Several of these prototypes will test the idea that holy listening as an ongoing practice can strengthen a church’s ability to remain agile and flexible in creating meaningful ways to engage young adults. These new ministries take many forms. One church plans to launch a podcast called “Friend School,” designed to share young adult-generated stories of experiencing loneliness and finding connection, community and friendship. Another will create an ongoing cycle of holy listening interviews with young adults in its neighborhood. A third will host sacred writing workshops, co-taught by local poets, creative writers and theologians, offering young adults the opportunity to tell their stories and bond with one another while learning about Christian spirituality. As these prototypes unfold, we are witnessing young adults empowered to try something new, to risk failure and to celebrate small wins. In this vastly changing and unpredictable landscape of U.S. religion, we hope to see new forms of congregational life emerging from a process of deep, holy listening that is grounded in empathy toward young adults. Click here to read the original post on Faith & Leadership. 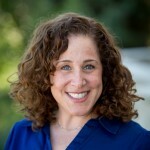 Dori Baker is a research fellow with Forum for Theological Exploration. Photo Courtesy of Dori Baker. Tobin Belzer is a contributing fellow with the USC Center for Religion and Civic Culture.